An insider's guide to the Milan Expo, the first world's fair to focus exclusively on food. World’s fairs often celebrate food innovation—the 1904 St. Louis event, for instance, introduced an invention called the ice-cream cone. 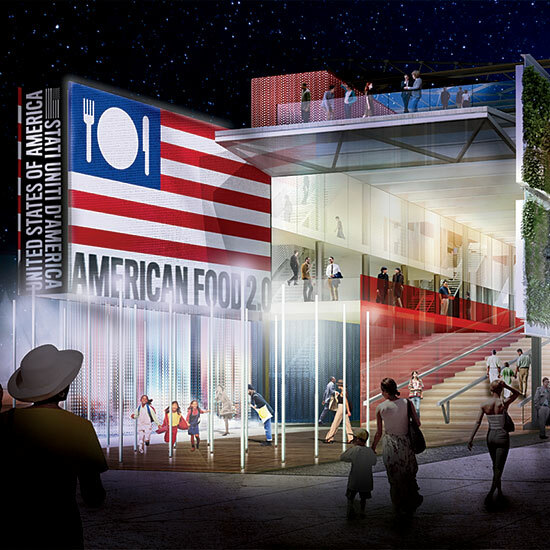 But the massive Expo Milano 2015 (taking place through October) is the first to focus exclusively on how we eat. Star chefs, farmers and artists from around the world will gather to explore the theme “Feeding the Planet, Energy for Life.” Here are some moments not to miss, both at the Expo pavilions (where a one-day entry costs $36) and all across Milan. expo2015.org. Tom Colicchio, Mario Batali and other chef superstars will speak on panels at the Expo and consult on food trucks serving iconic American dishes like lobster rolls. Chef David Kinch will be among the first to take turns cooking at the James Beard American Restaurant, which will serve Thanksgiving dinner every Thursday. Throughout May, visionary Italian chef Massimo Bottura and his famous chef friends like David Chang, Ferran Adrià, Gastón Acurio and René Redzepi will cook free meals for the needy at Refettorio Ambrosiano. Located on the outskirts of the city, this soup kitchen will use leftover food donated by the Expo pavilions. A new exhibit at the Triennale design museum will trace the history of food in art and industrial design, from the 1850s into the future. On display will be works like Claes Oldenburg’s Leaning Fork with Meatball and Spaghetti II (above). This two-story sphere is lined with lights that flash to replicate the movements of bees, drawing attention to collapsing bee colonies. Imaginative farms are a theme at the Expo: A 7,200-square-foot vertical garden at the US pavilion grows 42 edible plant varieties.